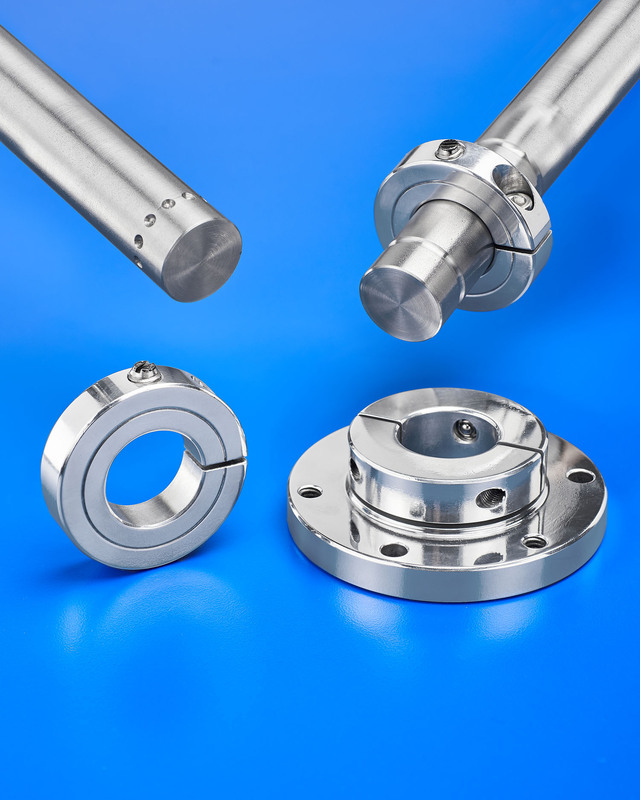 A new self-locating feature for their line of shaft collars that permits fast and fully repeatable axial or radial positioning is being introduced by Stafford Manufacturing Corp. of Wilmington, MA. can precisely fit into either a detent or a groove that is machined into a shaft to provide fully repeatable radial or axial positioning. Available on one-piece, two-piece, and hinged collars, this feature is designed for linear applications where exact repositioning and locking are required. Fully integrated into each shaft collar, the Stafford Positive Locking feature can be added into one-piece, two-piece, and hinged collars that are machined from aluminum, steel, stainless steels, and other materials in bore sizes from 1/2” to 6” I.D. Other features such as tapped holes, flats, slots, grooves, and knurls can be included. Stafford Positive Lock Shaft Collars are priced according to material, size, and quantity. Price quotations are available upon request.